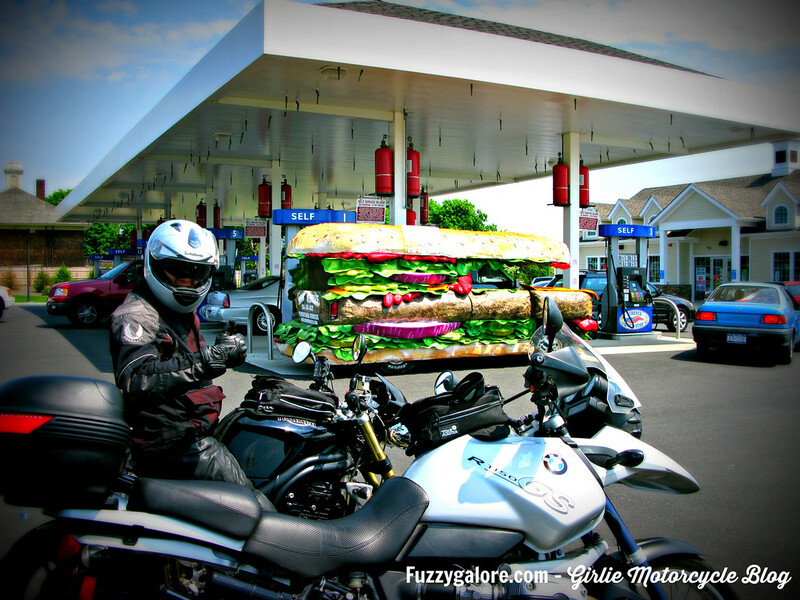 Yeah, there’s a giant hamburgermobile filling up on pump one. No big whoop. Are you kidding me? My head almost exploded with the total greatness of serendipitously running into the hamburgermobile a few years back. Even my generally nonchalant honeybun, Kenny was impressed. There are a few more pics of burgermobile greatness on the original post, in case you missed it. Also – I can’t believe I used to ride that behemoth GS. Can’t say I miss it! Whimsy makes life bearable. And this is a fine example.